Alice Amory didn't set out to own a motel on the coast of Maine when she returned there after 16 years as a chef in New York City. She had originally planned to open a pop-up restaurant in the area, but that was before she learned that a classic seaside getaway had been for sale for quite some time. "It was really dated, [with] wood paneling and a lot of turquoise or mustard carpet," Amory said. 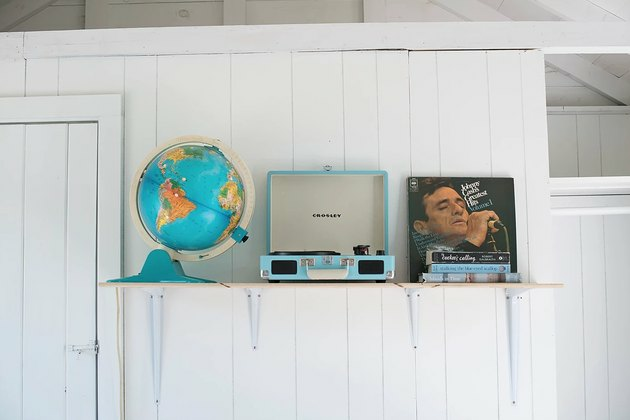 She envisioned the place as "an unplugged summer experience" similar to her childhood in nearby Camden, which would come to life with a colorfully minimalist Scandinavian design pulled from her travels. 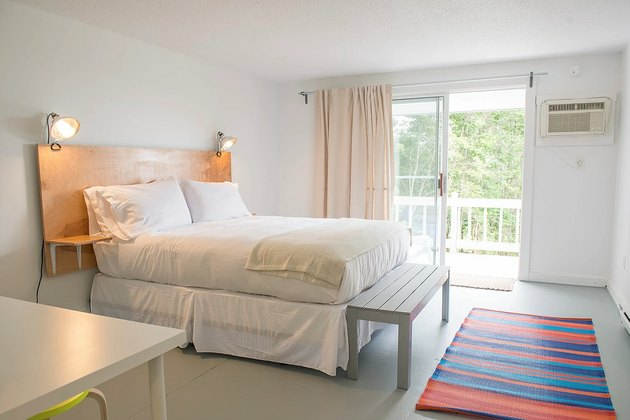 With a limited budget, she went about removing carpeting and doors that otherwise "chopped up" the '50s motor inn, and then painted everything "white, white, white" for a minimalistic feel. 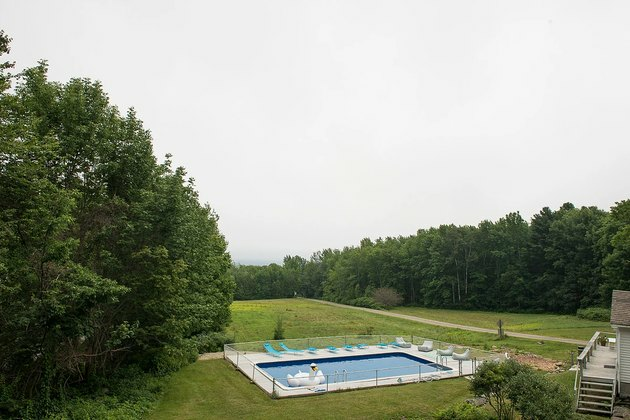 The six cabins — all with doors of brilliant blue — now make up the Lincolnville Motel, a haven that feels like a timeless escape to summer's simple pleasures. And even though she never anticipated this locale in her future, Amory is already thinking ahead: a spa and consignment shop are on the way. Who knows? A restaurant could be next. Swapping out the original property's traditional dark green shade on the doors for a turquoise blue gives the place a chic, updated look. Avory remembers that the original cabins were dark and cramped, with wood paneling on the walls. 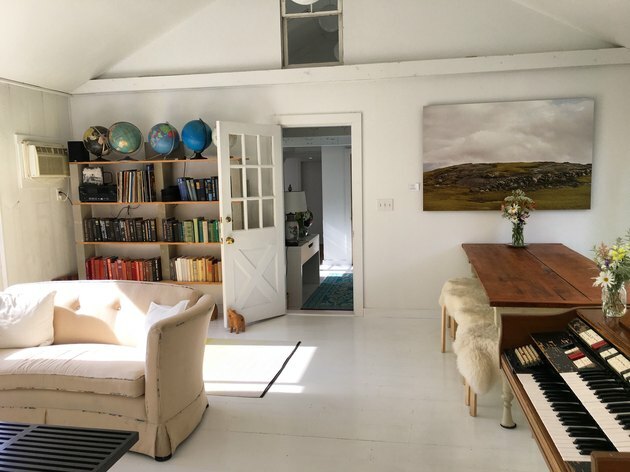 But one cabin, she said, was painted white and had the ceiling removed — so she recreated that aesthetic in all of the other cabins. Nature scenes of Maine by Jacob Hessler hang over each bed and are available for purchase. "That helps class it up a little bit," Amory joked. 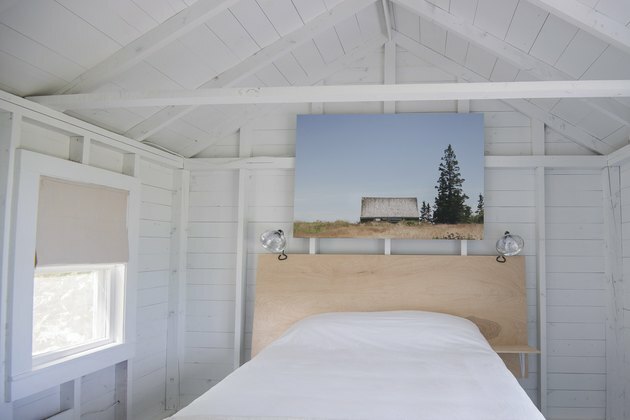 Headboards were crafted from simple plywood and drop-cloths were transformed into curtains. Details in the cabins make each space feel like a personal escape. And in case you were wondering, there are no televisions. The common room almost feels like a beloved family home. "I sent an email to all of my friends looking for different things," Amory said. Ikea furnishings are paired with antiques and cast-offs from her loved ones. Guests are free to swim in an isolated pool that shows just how removed they are from it all.